Home \ INDUSTRY NEWS \ CNC Precision products \ What You Need to Know About CNC Metal Lathe? Metal lathe is one of the processes taking place in the actual metal process. When metal is cut and treated, metal lathe is one of these cutting processes. CNC Lathes device is a general term for a machine utilized to eliminate material for a work piece, though the use of a cutting tool. They are specifically designed for metals. There are a lot of lathe variations in terms of processing the metals. In the metalworking field, several lathe techniques are being used to ascertain the quality and cut of the metal that is under processed. At the same time, there is a lot of CNC Lathe used for metal lathes. Let us discuss one by one the most commonly used CNC Lathes machines that are being used in treating any types of metals. First on the list is the centering lathe machine. It is a double head machine which focuses the work at the center of the work piece. He heads are fixed and moved forward creating a drill hole in the middle of the work piece in both ends of it. The result form of the work piece can now be utilized in the center with the aid of another operation. Center lathe can also be referred to as an engine lathe and more metals are subject to this type of lathe. 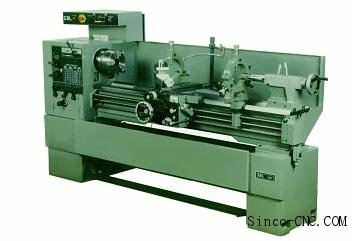 This type of machine is the most widely used machine for metal lathe and it is preferred by most of the general hobbyist or machinist. Another type of machine for lathe purposes is the capstan lathe machine. The machine is categorized to be a manufacturing machine. It is a specialized machine which incorporates the functions of a typical lathe machine plus the revolutionary tailstock in a capstan style. It is commonly used for woodworking and other wood industries alike. Another type of machine used for lathe is the turret lathe. It is also considered a manufacturing machine, and is very similar with the capstan machine appearance. Unlike the capstan machine which is stationary, turret machines are more versatile and mobile since it contains the turret slides that glide straight to the bed, instead of being fixed in one place. There is another type of lathe machine called the combination CNC lathe wherein it introduces milling and drilling operations into the plain work piece of the lathe. These types of machines normally have an x and a y axis using the carriage for x and a top slide for y. Old and Typical lathe machines are being replaced rapidly by CNC lathes machines. CNC lathe uses state of the art tooling for better precision and accuracy. These CNSC machines are highly specialized, but they are set for a simpler way of setting lathes and operation. The processes are modern and advanced. Most machinists and hobbyist prefer the CNC Lathes machines since they are more versatile, efficient, and simple compared with typical lathe machines. At the same time, they are sure that the operation is not taken into sacrifice while making the work simpler than it gets.